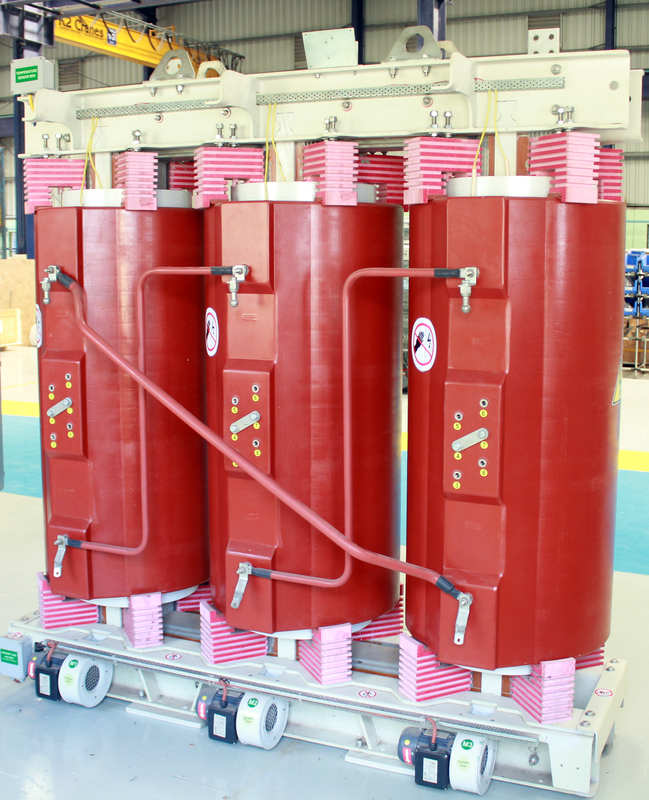 Dry-type Transformers are available up to 36kV class and 5MVA rating as per IEC and IS. Dry-type Transformers are used to eliminate fire hazards, environmental contamination and maintenance. Cooling ducts in the windings allow heat to be dissipated naturally into the air. In addition, Cooling Fans can be provided to operate when temperature exceed the set value made in the Temperature Monitor. Shopping Complexes, Housing Complexes, Windmill Nacelles, etc.